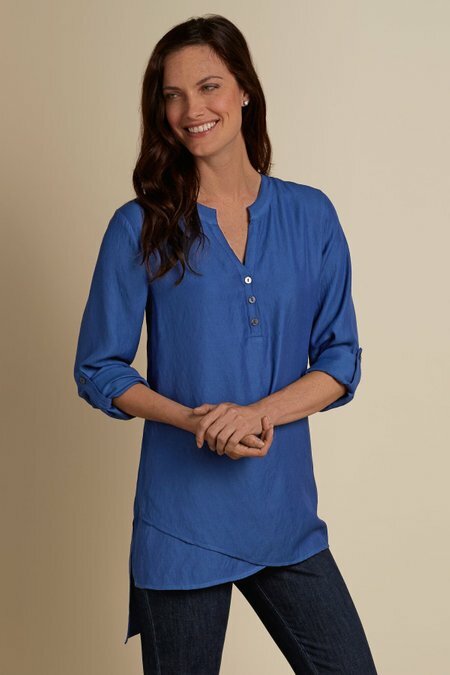 A front overlay and asymmetrical hem bring angular interest to this ultra-soft and drapey pullover, designed for relaxation but styled with special details like a mandarin collar, Henley button closure and long roll-tab button-cuff sleeves. Rayon/Polyester. Misses 32" long.